I made this card for my grand-nephew Craig’s first birthday. My nephew Chris told me that Craig clapped when they showed him the card. Wouldn’t it be nice to get that reaction every time you made a card? 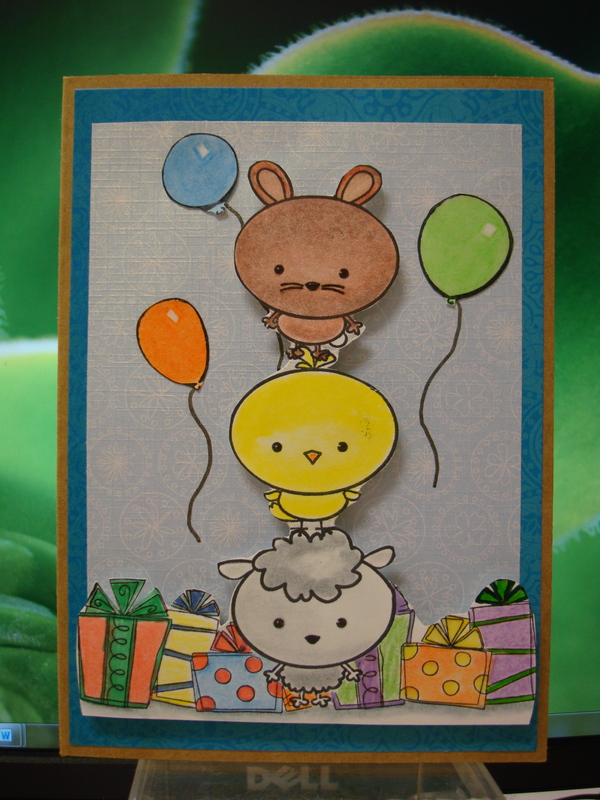 The rabbit, chick and lamb stamps are from the Michael’s dollar bin. I stamped them one on top of the other and put some dimensionals underneath them to make them stand out. Posted in Birthday Cards and tagged animals, balloons, birthday. Bookmark the permalink.